Item # 294143 Stash Points: 3,099 (?) This is the number of points you get in The Zumiez Stash for purchasing this item. Stash points are redeemable for exclusive rewards only available to Zumiez Stash members. To redeem your points check out the rewards catalog on thestash.zumiez.com. 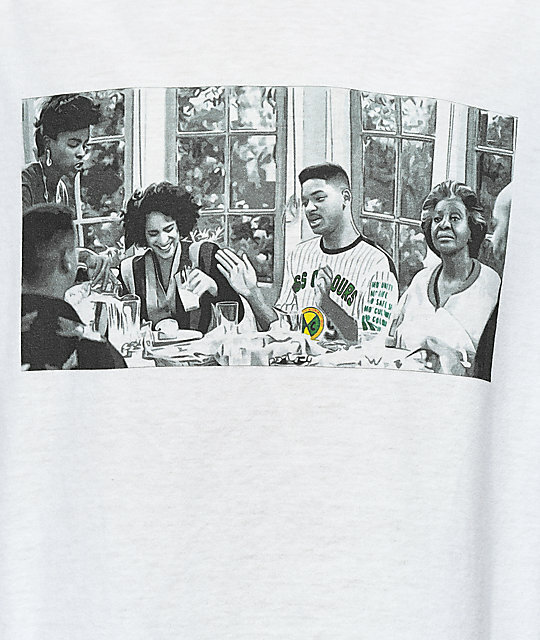 The Prince Dinner short sleeve tee shirt from Cross Colours takes a scene from an episode of the Fresh Prince Of Bel Air of the family sitting around the kitchen table and turns it into a sketched photo at the front of a white, 100% cotton shirt. 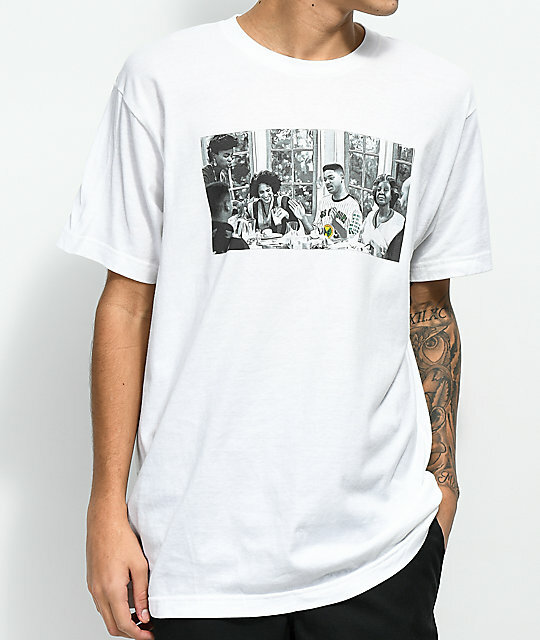 Prince Dinner White T-Shirt from Cross Colours. Screen print photo graphic on the chest.